Everybody's favorite clue-guessing computer Watson was always destined for more than just trouncing meatbags on Jeopardy. And though it spent a little of its time just hanging out and learning how to swear, Watson has now moved on to bigger and better things. "Dr". 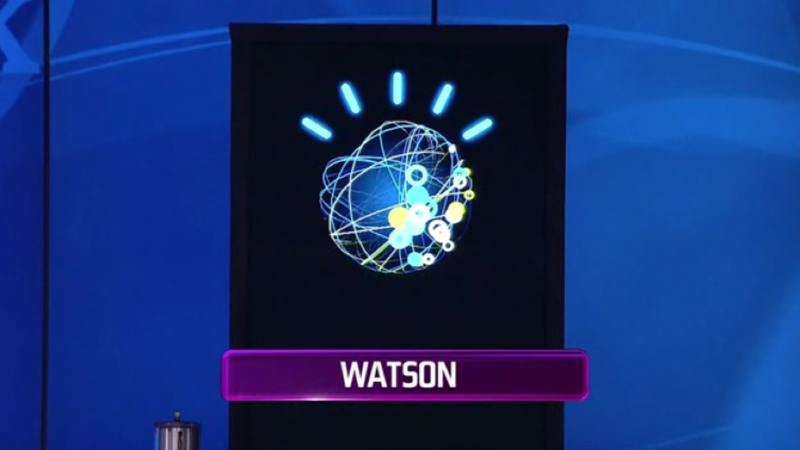 Watson's taking patients now, through a cloud-based medical application. Watson's first job is to help doctors decide what kind of treatment would be most effective for certain lung cancer patients. Doctors at the Maine Center for Cancer Medicine and WestMed in New York's Westchester County will soon be able to quiz Watson through a tablet or computer, and Watson will dig through the patient's thousand or so pages of records and provide answers in decreasing order of confidence. Watson isn't actually making any decisions, per se, but he is making things easier by digging through tons of data, and surfacing just the important parts. It starts sometime next month. Meanwhile, Watson has also been moonlighting at health insurer WellPoint Inc—it's first job—where it does roughly the same thing, except instead of recommending medical treatments based on efficacy, it offering suggestions as to what treatments the company should authorize for payment in particularly complex cases.